The HiyaHiya Accessory Bag is a beautiful holder for needles, pins, and other notions. 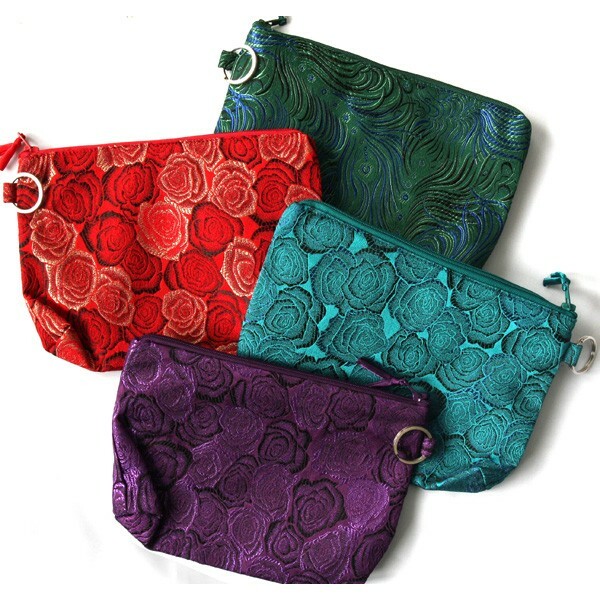 Brocade material with roses or feathered design (green only), fully lined with a zipper top. Some designs have a small interior zippered pocket. Size 9 3/8" X 6".